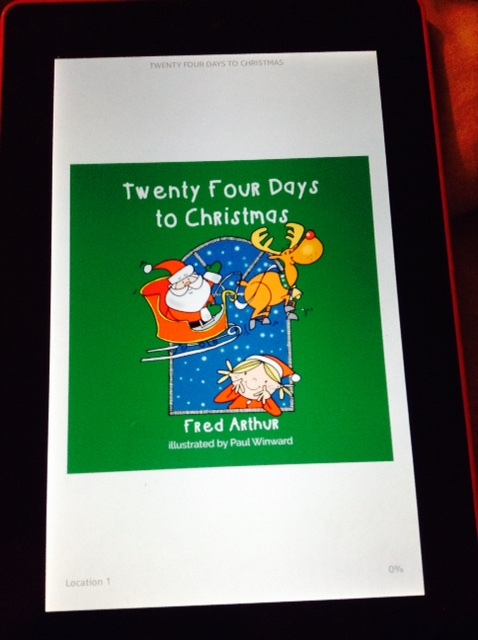 Twenty Four Days To Christmas was a very rhyming Christmas story for children. The images were really beautifully put together for an eBook copy and wording very clear and easy to read to a child over a few day. Or As a advent calendar story, one part for every day leading up to Christmas day. The book itself is aimed at 3-5 year old and was about Poppy getting ready for Christmas 24 days early because she couldn’t wait for Christmas day to come. Her mummy and Daddy decided to help the days go faster by taking her to shows and to see her nanny among other places and on lots of little adventures, which helped her countdown to Santa go quicker and brought the excitement of looking forwards to Christmas alive through poppy’s eyes. My cousin liked the train part best in the story and that buzz light year who was in the play. As my cousin’s school had included Buzz in the school play last year. And found the story to be very cheerful and full of Christmas spirit. However, my cousin did struggle to understand some of the words like the words ‘gay’ meaning ‘happy’ because at my cousins age, ‘seven’ so a little older than the book is targeted for. My cousin had not come across those word before. I do think this book could easily be classed for a slightly higher age group and a book that young kids can learn different words from as they grow in their reading abilities. However, this is a lovely Christmas book to read to children to get them ready for Santa Claus to come. And could even be read a page a night on the right dates which would be great fun for those with children of their own. I would recommend this book to parents to read with their children. I would get this book for my nieces when they are a bit older to enjoy it. ← Fifty Shades Of Roxie Brown Author Lynda Renham. Hi Katie, I enjoyed reading your review. An ebook for small children is an interesting concept. Thanks I’m glad you enjoyed reading my review means a lot. An ebook for small children is interesting.